Historic Hotels of the Rockies, an eclectic collection of vintage properties all located in the Mountain time zone and all more than fifty years old, continue to write new chapters to their own legend-rich histories. In recent months the various historic hotels have been in the news nationally, and many have news to report. Renovations and recognitions are recent news items for members of the Historic Hotels of the Rockies (HHR). These vintage gems are unveiling meticulous restorations, receiving prestigious awards, celebrating milestones, and announcing culinary events. As a result, national media publications are featuring these historic lodging properties regularly. The New Sheridan Hotel (est. 1895) has revealed its complete makeover, with Nina Campbell designs creating a new look for each individual room and suite. This transformation brings a new look to the main street of notorious Telluride, Colorado, and a new level of luxury to the landmark building's distinctive character. The Chop House Restaurant has been expanded and there is a new coffee/espresso shop in the lobby. There are two new hot tubs on the roof for a memorable après ski experience. The Riverside Hotel (est. 1903) in Hot Sulphur Springs, Colorado, has finished a refurbishing of the sixteen room accommodation that includes new paint, new lighting, new heating and plumbing and new electricity. The Hotel Colorado (est. 1893) in Glenwood Springs, Colorado, reports that the renovation of the bell tower in this neo-Italian design is complete. New features are king bed, air conditioning, and a balcony above the city lights to allow a dazzling view of the night sky. More room renovations are planned. Train fans rejoice! The Izaak Walton Inn (est. 1939) in Essex, Montana will soon be able to offer a fully renovated locomotive as a lodging option. The Great Northern 441 (originally built in 1968) is decked out with four hundred year old hardwood floors, custom cabinetry, and even a fireplace. Photos and floor plans are available on the hotel's website, and this luxury accommodation should be ready for rental starting in October of this year. This year The Strater Hotel (est. 1887) in Durango, Colorado has been recognized with several awards. Upon completion of an energy efficient upgrade to the hot water system, the hotel received the 2008 Governor's Award for the Best Historic Restoration. Noting culinary excellence, Mahogany Grille's Executive Chef Dave Cuntz was selected to be an exhibitor at the 27th Annual Food and Wine Classic in Aspen, Colorado where he served his famous Pepper Steak Herbert at the Grand Tasting. Mahogany Grille was also the recipient of the 2008 and 2009 Wine Spectator Award. Happy Birthday to the Peikers at Castle Marne (est. 1889) in Denver, Colorado! The current innkeepers celebrate twenty years of ownership at this striking one hundred and twenty year old, award-winning landmark, but it has been in the family for three generations. This luxurious stone mansion offers Victorian elegance with all the modern day conveniences, and is close to major attractions such as the Denver Botanical Gardens, the Denver Zoo, and the Denver Museum of Nature and Science. Congratulations to James and Cheryl Gagnon of the Grand Union Hotel (est. 1882) in Fort Benton, Montana, as they celebrate ten years of being open since their restoration (official reopening was November 1, 1999.) The party starts on Halloween, and anniversary specials will continue for the following week. Save the date - for Fine Wine and Dine at Nagle Warren Mansion (est. 1888) in Cheyenne, Wyoming on October 22, 2009. It's the annual Harvest Festival dinner, where fine wines will be perfectly paired with the freshest local meats and produce, served in comfortable elegance and enhanced by classical guitar background music. Contact the hotel for lodging and dinner packages. 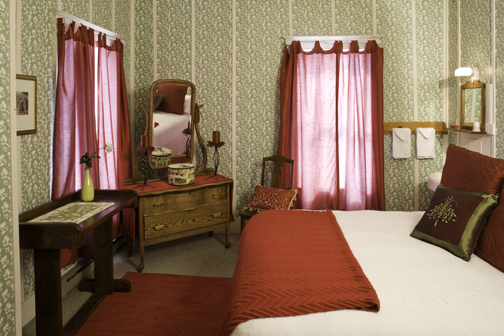 Historic Hotels of the Rockies welcomes the newest member, The Pollard Hotel, a 38 room historic hotel established in 1893 in Red Lodge, Montana. This local landmark was restored and reopened in 1994 and now offers guests year round outdoor activities that include downhill and cross-country skiing locally, and snowmobiling in Yellowstone National Park. Summer activities include hiking, horseback riding, and exploring scenic Beartooth Highway. Travel enthusiasts look forward every year to the National Geographic Traveler Stay List - Hotels We Love--and listed on the Stay List 2009 are HHR members The Historic Elk Mountain Hotel (est. 1905) in Elk Mountain, Wyoming; Historic Occidental Hotel (est. 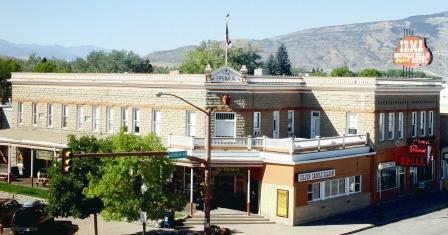 1880) in Buffalo, Wyoming; and The Strater Hotel (est. 1887) in Durango, Colorado. Also featured in a recent issue of National Geographic Traveler is an article about Las Vegas, New Mexico (the original Las Vegas), and the Belle of the Southwest, The Plaza Hotel, built in 1882 and recently restored and expanded with the purchase of the adjacent Charles Ilfeld commercial building. This addition creates thirty-five more rooms, a grand ballroom for up to three hundred people, and various other salons for convention and banquet events. The Izaak Walton Inn (est. 1939), located in Essex, Montana, was recently reviewed in The New York Times travel section, and it was pointed out that this charming historic hotel was the only one open year round in Glacier National Park, and that business was booming during the winter months as guests come to enjoy the thirty-three kilometers of groomed cross-country skiing. The Irma Hotel (est. 1902) in Cody, Wyoming, also made The New York Times in an article in the real estate section, and The Irma won the Reader's Choice Award for Best Hotel in the January/February edition of True West magazine. This hotel is named after Buffalo Bill's daughter, and features the Cody Gunfighters reenacting famous showdowns in front of the hotel nightly throughout the summer. Special notice was given to historic hotels on the specialty meetings online resource, Connectyourmeetings.com. 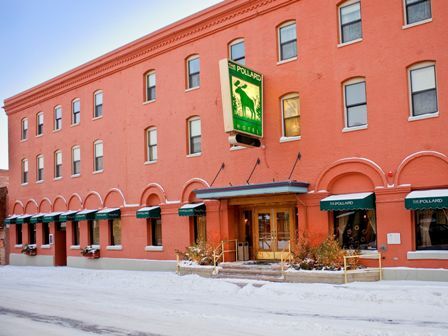 Listed in their Top Ten locations for meetings are the Historic Occidental Hotel (Buffalo, Wyoming), The Historic Plains Hotel (Cheyenne, Wyoming), The Alex Johnson Hotel (Rapid City, South Dakota), The Grand Union Hotel (Fort Benton, Montana), The Historic Plaza Hotel (Las Vegas, New Mexico), The Hotel Colorado (Glenwood Springs, Colorado), Castle Marne (Denver, Colorado), and The Strater Hotel (Durango, Colorado). Two more noteworthy mentions include the recognition of The Nagle Warren Mansion (est. 1888) in Cheyenne, Wyoming in TeaAtlas.com. The Nagle Warren Mansion serves traditional English High Tea, in period costumes, on Friday and Saturday afternoons. Also, The Nagle Warren Mansion was featured in MotorcycleRiderNews.com with their special rates for those traveling to the annual Motorcycle Rally in Sturgis, South Dakota. 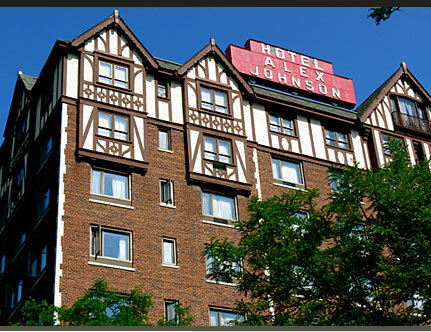 Historic Hotels of the Rockies welcomes new members to this history-rich consortium. For more information go online at http://www.historic-hotels.com. An eclectic collection of vintage properties, the Historic Hotels of the Rockies resurrect the glory days of the late 1800's and early 1900's. For detailed information on each hotel, go to http://www.historic-hotels.com.